Through a critical examination of the limits of SWP guru Tony Cliff's analysis, Marot demolishes the popular myth that Trotsky and his Left Opposition within the Bolshevik Party in Russia were, during the 1920s, a heroic attempt to defend working class interests against a Stalinist 'socialist construction' and repression that they disagreed with. An effective factual antidote to leftist and ICC-type left-communist apologetics for Trotsky and Trotskyism's anti-working class character in Soviet Russia. But this article is useful insofar as it does, through a critical examination of the limits of SWP guru Tony Cliff's analysis, demolish the myth that Trotsky and his Left Opposition within the Party were a heroic attempt to defend working class interests against a Stalinist 'socialist construction' and repression that they disagreed with. He illustrates that Trotskyists and Stalinists shared essentially the same economic and political programme, allocating the same submissive role to the working class in the name of 'socialist construction'. This essay proposes to re-evaluate the political character and historical significance of the Left Opposition through a detailed assessment of Tony Cliff's Trotsky, 1923-1927: Fighting the Rising Stalinist Bureaucracy and Trotsky, 1927-1940: The Darker the Night the Brighter the Star, the third and fourth volumes respectively of his Trotsky biography. In the pages that follow, I argue that Trotsky and the Left Opposition did not oppose Stalin's policies of forced industrialisation and collectivisation. Worse, they failed to support worker and peasant resistance to these policies. In fact, the political programme and worldview of the Left Opposition objectively contributed to the formation and consolidation 'from above' of a new class society in the critical period of 1927-33. The visceral reaction of many Marxists and perhaps all Trotskyists to anyone brazen or foolish enough to declare the traditional understanding of the Left Opposition's historical role incorrect might be to consider it absurd. And yet, none other than Cliff, in his comprehensive and probing study of Trotsky's life and politics, recognised this cardinal fact: the overwhelming majority of the Left Opposition's leadership believed that 'Stalin's policies of collectivisation and speedy industrialisation were socialist policies, that there was no realistic alternative to them.' But if this was so - and it was so - how can this disturbing fact be reconciled with any notion that, at this critical juncture, Trotsky and the Left Opposition were 'fighting the rising Stalinist bureaucracy' and its policies? Cliff thought he could get around this contradiction by arguing that Trotsky kept up the fight while the Left Opposition 'capitulated' to Stalin. Moreover, Trotsky had begun the fight against Stalinism before the rise of the Left Opposition, and would continue fighting it after its fall. There is no gainsaying that Trotsky's worldview - Trotskyism - encompassed a range of the politics and perspectives far wider than those of the Left Opposition. Trotsky held many ideas before, during and after the period of 1927-33 that were not directly related to the question of how to develop the forces of production and what kind of relations the workers' state should establish with the peasantry so as to assure the on-going construction of socialism in the Russia of Lenin's New Economic Policy. Everyone knows Trotsky developed his theory of permanent revolution long before the October Revolution, that he attacked the Comintern's ultra-left policy in Germany during the rise of Nazism, a period very roughly contemporaneous to the Left Opposition's existence. Everyone knows that Trotsky developed a critique of the popular-front strategy in France and Spain after the Left Opposition had rallied to Stalin and, toward the end of his life, pursued his struggle against Stalin by founding the Fourth International in 1938. All this is very true. But Cliff's effort to distinguish Trotsky's strategic political orientation from that of the Left Opposition in the indicated period and around the question of economic development has little factual foundation. Trotsky most clearly formulated the general political perspective of the Left Opposition in the Soviet Union with respect to Stalin's policies, and its leadership acknowledged Trotsky as primus inter pares. However undemocratic and forceful the manner means of Stalin's turn, the Left Opposition generally welcomed the anti-kulak, anticapitalist direction of Stalin's policies. Nevertheless, what lends some semblance to Cliff's idea that Trotsky and the Left Opposition went their separate ways is the fact that the Left Opposition divided over how best to compel Stalin to complete his turn to the 'Left' against Bukharin and the Right Opposition - in other words, a tactical question. But it did not divide over whether the turn was a 'left' one or had anything to do with socialist politics at all - a strategic question. Had a strategic debate taken place within the Left Opposition a basis would have been established for principled disagreement between the opposing sides revolving around the relationship between means and ends, between workers' democracy and socialism: could the road toward socialism be taken via undemocratic means, from above, even at the start of the journey? Had this debate taken place within the Left Opposition, I believe Cliff would have opposed Trotsky and the Left Opposition. But it is doubtful Cliff could ever have seen it that way. Why? A dedicated socialist militant and Marxist revolutionary, Cliff never severed politically the link between socialism and workers' democracy. But he also claimed that Trotsky never did so either. The 'central theme of [Trotsky's] life and struggle to the bitter end was that socialism could be achieved only by the workers, not for them'. Pace Cliff, this is incorrect. In the period under question, Trotsky and the Left Opposition did not make this theme a central one in their politics, and their general perspectives were not informed by it. In fact, and contrary to Cliff, before Stalinists, let alone Stalinism, had made their appearance, Trotsky had long believed, as early as 1921, that the road to socialism could be taken by substituting the political dictatorship of the Communist Party for the democratic self-organisation of the working class. In this there was nothing to distinguish Trotsky from Lenin, Zinoviev, Kamenev, Bukharin, Stalin and other leading politicians throughout the 1920s and beyond. To be sure, Trotsky dropped, without fanfare, his substitutionism in the Revolution Betrayed, published in 1937. There, at last, he declared, if still with some diffidence, the imperative necessity for multi-party Soviet democracy as the only means to realise the transition to socialism. Nevertheless, Cliff gravely misjudged just how disastrous Trotsky's substitutionist politics were in the interim. While Trotsky opposed the bureaucratisation of party and state in theory, it will be the burden of this essay to show what Cliff did not show for hagiographical reasons: how Trotsky's substitutionist politics in practice unwittingly contributed to bureaucratisation in general, and to the victory of Stalinism in particular. The aim of this paper, then, is to bring out the colossal political costs of Trotsky's failure to make at all times workers' democracy an integral part of his conception of the transition to socialism, costs which Cliff failed properly to tally. Many other Marxists have written at great length about Trotsky. Yet the focus of the paper is on Cliff because only Cliff undertook a sustained, if woefully incomplete, critique of Trotsky's substitutionist politics, a critique that needs to be refined, amended, corrected and completed. No such sustained critique is present in Isaac Deutscher, Ernest Mandel, Pierre Broue or Max Shachtman, for example. Broue's is a work of hagiography: his vieux maitre was never fundamentally wrong about anything fundamental. Broue defends Trotsky against any and all criticism. Much the same can be said for Mandel, who confines his doubts and reservations regarding Trotsky's politics to matters he deems to be of secondary importance. As for Shachtman, he once remarked how Trotsky's failure to call for multi-party politics sharply hindered his struggle against Stalin but he never followed up on that insight. Trotsky's substitutionism never became an independent object of analysis for Shachtman in connection with a detailed study of the period leading up to and including Stalin's turn to the 'left'. Finally, Deutscher's abstract, historiosophical critique of Trotsky's life and thought is ill suited to serve as a basis for a politically concrete discussion of Trotsky's failings in the formative period of Stalinism in the late 1920s and early 1930s. Of course, there are many accounts of Trotsky written by bourgeois academics. In another context and for other purposes their contributions could not be safely ignored. But, since the socialist project is something of a utopia for this camp, no serious discussion about the means to realise it can be expected from them - and none is given. There is no extant critique to amend, correct, refine or complete. With these preliminaries out of the way let us turn, now, to Cliff. In Trotsky, 1923-1927: Fighting the Rising Stalinist Bureaucracy, Cliff focuses almost exclusively on Trotsky's efforts to curb the bureaucratisation of the ruling party and of the Soviet state. This period opened with prominent party leaders Kamenev, Zinoviev and Stalin allying against Trotsky. After quickly defeating Trotsky, the anti-Trotsky troika eventually fell out and a realignment of forces took place. In early 1925, Zinoviev and Kamenev turned on Stalin as well as Stalin's newfound ally, Bukharin. But, within a year, by early 1926, Stalin had demolished the Zinovievist Opposition. Finally, in the spring of 1926, Trotsky, having stood on the sidelines for nearly eighteen months, joined the leaders of the now organisationally wrecked Zinovievist Opposition to form the United Opposition against Stalin's rising dictatorship. Stalin, undaunted, routed the United Opposition by late 1927, destroying in the process the last remnants of inner-party democracy. Meanwhile, abroad, the international working-class movement suffered defeat after defeat, in the German Revolution of 1923, the British General Strike of 1926, and the Chinese Revolution of 1925-7. To understand how Trotsky carried out his struggle in the upper echelons of the Communist Party against this evolution centrally involves an assessment of Trotsky's analysis of the rise of the bureaucracy he was attempting to combat, and of the political strategy Trotsky elected to pursue, on the basis of his analysis, to achieve his political purpose. It is Cliff's fundamental argument that Trotsky did not recognise in good time that the Russian Communist Party and the Third International were 'dead for the purposes of revolution'. In his Preface, Cliff presents Trotsky's general position and offers his critical appreciation of it. Trotsky came to believe, from the [mid]20s on, that factional divisions within the ruling party correlated to, and expressed, the interests of classes outside it. According to Trotsky, the working class favoured democracy and socialism and had an objective interest in preserving the material basis of a democratic socialism: the state's ownership of the means of production. The interests of workers were therefore 'objectively' promoted by the faction of the Communist Party seeking to develop industry and collective agriculture, designated by Trotsky as the 'left' wing. Trotsky placed himself in its ranks. The 'right' wing in Trotsky's political lexicon referred to the faction that sought to organise an economy run competitively, by private individuals. Pressured by incipient capitalist interests of millions-strong small peasant owners in Russia, as well as already developed capitalist interests abroad, this wing, led by Bukharin, favoured capitalist restoration even if its leader swore to the contrary. Bukharin and the Right sought to develop a socialist economy by fully developing the market mechanisms of the New Economic Policy (NEP). This meant encouraging better off peasants, the kulaks, to 'get rich' at the expense of their poorer neighbours, and by privileging the proto-capitalists in the cities, the Nepmen, to accumulate capital. To ensure these market processes developed in an ostensibly pro-socialist direction, Bukharin insisted on the Communist Party's monopoly on politics - a monopoly also upheld by Trotsky and Stalin. The Stalinist 'Centre' wobbled between these two warring factions, vacillating now to the Right, under pressure from non-proletarian classes and the right wing of the Communist Party, now to the Left, under pressure from the working class and the left wing of the Communist Party, but never capable of striking out on its own in either domestic or foreign affairs. According to Cliff, Trotsky's whole approach was disastrously misconceived. This became evident from 1929 on when the 'centrist' Stalin, contrary to Trotsky's expectations, adopted the supposedly left-wing policies of developing state-owned industry and collectivising peasant agriculture. In the process of executing this class project of the bureaucracy, Stalin followed up his annihilation of the Trotskyist-Zinovievist 'Left' in late 1927 with the destruction of the pro-capitalist Bukharinist-Tomskyist 'Right' by late spring of 1929, permanently consolidating the power of his own 'Centre' faction. Meanwhile, in international affairs, the consolidation of the bureaucracy into a ruling class also committed Stalin to a nationalist foreign policy under the guise of building 'socialism in one country'. At the same time, Stalin ruthlessly extirpated all vestiges of workers' democracy. But, even when Trotsky finally drew the new political conclusion, in 1933, that the Stalinist bureaucracy was not 'centrist' and could not be swayed to the Left, only overthrown through the revolutionary self-activity of the working class, Trotsky still did not change his sociological analysis of the Soviet State. He continued to regard it as a 'workers' state' that preserved, by strictly bureaucratic means, socialised property over the means of production and, therefore, the basis of socialism. Trotsky, Cliff writes, 'failed to understand the character of the bureaucracy as a ruling class bent on pursuing its own independent interests in fundamental opposition to both the working class and the peasantry'. The bureaucracy had its own specific goals, reflecting its distinct social place: it was neither centrist nor vacillating. But Trotsky continued to argue for the one-party state in this period, and accepted the banning of factions in the Party because he was convinced that the Russian Communist Party remained the authentic political custodian of the working class' historic interests. This attitude strategically disoriented Trotsky's followers because it 'created impossible barriers to any consistent policy of opposition: it forced Trotsky to retreat again and again whenever the [party] leadership decided to ban his activities'. Cliff chronicles Trotsky's strategically misleading 'conciliationism' toward the nascent bureaucracy beginning in the summer of 1923, when industrial workers in the cities of Leningrad and Moscow struck in great numbers to protest against wage arrears, unemployment, long hours and lack of shop-floor democracy. Party leaders ordered the arrest of the ringleaders and denounced workers as narrowly craft-oriented and selfish. Trotsky responded to the workers' discontent by writing fellow Politburo members a private letter, kept secret from the party rank and file, protesting the 'unheard-of ' bureaucratisation of the party apparatus and the lack of democracy for the party membership. But, crucially, Trotsky would not grant non-party workers full freedom of expression. He spelled out his views in The New Course, the 'hallmark' of 'Trotskyism' according to Cliff. Published in January 1924, The New Course offered a thoroughgoing sociological critique of the Soviet bureaucracy. Referring to the recent industrial unrest, Trotsky warned workers' discontent had assumed an 'extremely morbid form' in the appearance inside the Party of 'illegal groupings', 'directed by elements undeniably hostile to communism' such as the Workers' Group. Suppressing political dissent by repression alone was ineffective in the long run because such measures could not get at the root causes of working-class restlessness, causes which lay in the 'heterogeneity of society, the difference between the daily and the fundamental interests of the various groups of the population' as well as in 'the lack of culture among the broad masses'. On Cliff's interpretation of it, The New Course also revealed the fundamental defect of Trotsky's political method, its Achilles heel. By advertising Trotsky and his co-thinkers 'as the best defenders of party unity and the strongest opponent of inner-party factions' Trotsky supplied his opponents the best argument in favour of the self-dissolution of the ... Trotskyist Opposition! Above all, Trotsky would remain in the 'grip' of the following 'contradiction': `On the one hand the party was strangled by bureaucracy' writes Cliff, 'but on the other Trotsky was unwilling to call on social forces outside the party to combat the bureaucracy'. To have placed this 'contradiction' at the forefront of his study puts Cliff's biography of Trotsky analytically head and shoulders above the accounts given by Deutscher, Broue, Mandel, and Shachtman, for whom this contradiction merits no special consideration. Nevertheless, in my view, Cliff does not take this cogent analysis far enough. For the implications of Trotsky's sociological analysis of factional politics were even more politically problematic than Cliff allows. Trotsky's failure to see the bureaucracy as a social force with its own interests prevented him from seeing that the Party itself, especially its ever-more dominant Stalinist faction, was becoming and, by the mid-1920s, had become the representative of the bureaucracy. But Trotsky looked upon the undeniable hostility of workers to an overbearing bureaucracy not as a manifestation of an objective clash of class interests, which politically experienced revolutionaries could nourish to advance the interests of the working class, but as a sign of workers' political immaturity and lack of culture, which counter-revolutionary elements - Mensheviks, Socialist Revolutionaries, etc. - were bound to exploit for their factional, anti-working-class ends. In short, Trotsky counterposed the general historical interests of the working class, ostensibly embodied in the party-state, to the actually existing working class with its vital, everyday, material interests. In Trotsky's very conception of the relationship between this party and state, on the one hand, and the working class, on the other, lay the fatal politics of substitutionism to be carried out by an ideal substitute for the real working class - the Communist Party of the Soviet Union. The Stalinist bureaucracy unambiguously presented itself as such a substitute, prepared to destroy all false pretenders: 'The cadres can only be removed by civil war' Stalin peremptorily threatened in 1927. But, because Trotsky failed to understand that the bureaucracy was a social force acting in its class interests, he could not understand the politics of this substitutionism. So long as he held to his substitutionism, Trotsky's relationship to the Stalinist bureaucracy ultimately meant negotiating the terms of his political surrender. Trotsky's 'conciliationism' was systematically biased in favour of the party-state because the latter, somehow, was representative of the working class, despite its objectively anti-working-class policies. Trotsky's political opposition toward the factional activity of the Workers' Group of 1923 outwardly expressed this firmly held, ideologically internalised insistence on unitary, single-party rule. The Workers' Group was formed in the spring of 1923. It sought out alliances with elements of previous oppositions. Denouncing the New Economic Policy as the New Exploitation of the Proletariat by bureaucratically appointed factory managers and directors of industry, the Workers' Group tried to recruit among party and non-party workers. It strove to lend political definition and direction to the massive strike-wave rocking industry in August and September 1923. It even looked for support abroad, among left-wing elements of the German Communist Party led by A. Maslow, and among Gorter's Dutch Communists. Trotsky opposed the Workers' Group. He 'did not condemn their persecution' Cliff reports. 'He did not protest at the arrest of their supporters. He did not support their incitement of workers to industrial action.' Trotsky even refused to solidarise publicly with the over two hundred party members who had dared to participate actively in the workers' strike movement, and who had been subsequently expelled from the Party. Action speaks louder than words, public action louder still. Trotsky did not then appear to workers to be that redoubtable fighter against bureaucratic repression and hooliganism that Cliff today, despite Trotsky's equivocation, would like socialist militants to believe Trotsky 'objectively' always was. While Trotsky did next to nothing to lend political guidance to rank-and-file dissent outside the Communist Party, Trotsky was almost always prepared to respond favourably to invitations of political co-operation by one or another element of the party leadership. In 1926, Trotsky justified his alliance with Zinoviev and Kamenev - the United Opposition - on the grounds of the recent turn of the two Stalin and their defence of state ownership of the means of production and a pro-industrialising policy was, in Trotsky's words, a 'bureaucratically distorted expression of the political anxiety felt by the most advanced sections of the proletariat'. The always observant Victor Serge noted: 'Zinoviev, whose demagogy was quite sincere, believed every word he said about the warm support of Leningrad's working class masses for his own clique.' Only after Stalin had routed Zinoviev and Kamenev in early 1926, with Zinoviev ousted from the chairmanship of the Leningrad party organisation and Kamenev from the presidency of the Moscow Soviet, did the defeated duo begin to cast about for a political alliance with Trotsky. As Kamenev and Zinoviev sent out peace feelers in the interest of political self-preservation, Trotsky let bygones be bygones and shifted to a more engaging political characterisation of his former adversaries. No longer dismissing them as unprincipled intriguers, Trotsky came round to describing them as upright defenders of workers and of socialist construction. It was only a matter of time before the behind-the-scenes negotiations culminated with Trotsky, Kamenev and Zinoviev formally concluding an alliance against Stalin and Bukharin, in April 1926. The birth of the United Opposition appeared to the initiated - party members - to be just another power play on everybody's part, including Trotsky's - despite Trotsky's laboured efforts to give his rapprochement with his erstwhile opponents the veneer of high-minded political principle. As for the non-party masses, they were kept in the dark, as usual. In the interests of preserving unity with Zinoviev and Kamenev, Trotsky went out of his way to conciliate them on international issues, Cliff reports. Trotsky declared the theory of permanent revolution irrelevant to the issues at stake, and no longer pressed for the united-front policy abroad. These now became mere bargaining chips, to be traded in when politically expedient. Trotsky did not call for the break-up of the Anglo-Russian Committee and the withdrawal of the Chinese Communist Party from the Kuomintang. As a result, the potential of the British Communists to gain a significant influence over their working class was undermined while, in China, it led to the outright destruction of the Revolution. Both defeats contributed mightily to the isolation of the Russian Revolution, whose ultimate salvation lay precisely abroad, as Cliff rightly recognises. But Trotsky, by acquiescing to policies he knew would help defeat the workers' movement abroad, undoubtedly helped to undermine his fight against Stalinist reaction at home. ... the demonstrators made a silent gesture by lingering on the spot, and thousands of hands were outstretched, waving handkerchiefs or caps. It was a dumb acclamation, futile but still overwhelming.... The masses are with us Trotsky and Zinoviev kept saying that night. Yet what possibilities were there in masses who were so submissive that they contained their emotions like this? As a matter of fact, everybody in the crowd knew that the slightest gesture endangered his own and his family's livelihood. Cliff displays insufficient psycho-political insight when he points to this event merely to 'demonstrate the passivity of the mass of workers, their lack of will to fight for the Opposition'. No. The leadership had done too little to prepare the minds of the non-party masses for a public demonstration of the Left Opposition, for whom it came as a bolt from the blue. 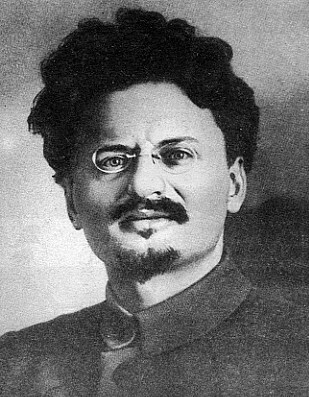 A few weeks after the Red Square incident, the GPU arrested Trotsky for counter-revolutionary activity and deported him to distant Alma-Ata, near the Chinese frontier. The fourth volume Cliff's political biography, Trotsky, 1927-1940: The Darker the Night the Brighter the Star, chronicles Stalin's collectivisation of agriculture and forced-draft industrialisation between 1929 and 1933. He examines how the exiled Trotsky responded to these epochal events, and then records the response of Trotsky's co-thinkers in the USSR. Cliff concludes with an extended analysis of the 'centrist' Stalin's ultimate victory over and against the Trotskyist 'left' and Bukharinist 'right' wings of the Communist Party of the Soviet Union. Cliff also follows Trotsky's efforts to found oppositional groups in a number of European countries, as well the United States, from 1928 on. Cliff surveys the interventions of various Trotskyist organisations in the crucial events of the thirties, the victory of Nazism in Germany, the failure of the Popular Front in France, the defeat of the Spanish Revolution. Cliff closes his account with the aborted foundation of the Fourth International, in 1938. In his conclusion, he assesses Trotsky's political legacy. As already noted, Trotsky thought the 'centrist' Stalin could never industrialise the country on the basis of state ownership of the means of production, the very policy advocated by the 'left' opposition. But Stalin systematically destroyed Trotsky's analysis by systematically developing state-owned industry and collectivising peasant agriculture. Stalin did exactly what Trotsky had said the irresolute Stalin, that 'grey blur', could not be expected to do: destroy the capitalist kulaks in the countryside by seizing their agricultural surpluses without compensation - 'primitive socialist accumulation' - and investing those surpluses to build gigantic new industrial concerns in the cities that would, in turn, supply tractors and combines to the new kolkhozy [collective farms] in the countryside then being created through the consolidation of tens of millions of small peasant plots into huge, multi-thousand-acred farms. Through industrialisation and collectivisation, Stalin consolidated a new ruling class in a new, bureaucratically run 'statecapitalist' society, according to Cliff. It matters little how Cliff characterises this new mode of production sociologically. Absolutely crucial politically was that the bureaucracy was a class, an independent social force with its own material interests, and that it extracted a surplus from the direct producers by means of a coercive state. the Trotskyists politically disarmed before Stalin. Capitulating to Stalin - or rallying to him? Very quickly, thousands of Trotskyists 'capitulated' to Stalin. Or did they rally to him? For the 'capitulations', Cliff points out, were not the outcome of mere police persecution but arose from strongly held political conviction. In Cliff's considered view, Stalin did not so much destroy the Left Opposition in the USSR from without as much as it collapsed from within, under the weight the Trotskyists' fundamentally faulty assumptions regarding the nature of the enemy, indeed, just who the enemy was. Cliff cogently analyses the political ramifications of the ideological crisis of the Left Opposition before the final victory of Stalinism. In my view, however, he has not fully examined the other side of this ideological crisis, namely, the Trotskyists' political attitude before the final defeat of the working class and the peasantry. Most directly to this point, if, on Cliffs account, the leadership of the Left Opposition in the Soviet Union basically surrendered to the Stalinists without a serious fight because the Stalinists were doing what Trotskyists thought should be done, then what was the attitude of these Trotskyist leaders toward those workers and peasants who didunequivocally resist Stalin's murderously exploitative policies of industrialisation and collectivisation? Could the leadership of the Left Opposition have unreservedly supported their fight against Stalin and his policies? Cliff does not pursue this politically explosive line of inquiry and so draws a veil over the political conclusions to be drawn from it. But this inquiry needs to be made for the sake of the truth. Since Stalin carried out an industrialisation programme - the central plank in the platform of the Left Opposition to which, as events were to show, virtually everyone of its members would subordinate everything else, including inner-party democracy and internationalism, it follows logically from Cliff that Trotsky had no firm basis for organising a political opposition to Stalin and, in turn, mass activity against his regime. Moreover, if the top Trotskyist leadership could not define a programmatic basis for organising against the Stalinist regime, how could rank-and-file Trotskyists be expected to find such a basis from below, given their commitment to Trotsky's views? There are three interrelated points to be made here. First, the Left Opposition could not organise a struggle against the bureaucracy since it did not see the bureaucracy as a ruling class in its own right. It had no social opponent to target. Second, it could not organise against Stalin's programme since his programme was to industrialise. Third, it could not organise on the issue of the Communist Party's monopoly of political power since Trotskyists still acknowledged it to be the vanguard of the working class. As Cliff had earlier detailed in the third volume, Trotsky had come out explicitly against the formation of factions within the Party, and against free, multi-party elections in the country. Trotsky did not abandon the politics of 'non-factionalism' until 1933, and did not come out in favour of multi-party workers' democracy until 1937, in The Revolution Betrayed. In light of the foregoing, the Left Opposition was left in a very poor position to organise workers' resistance to Stalin especially because any workers' opposition had to have two elements to it. Firstly, it had to affect the process of so-called primitive accumulation because workers, in pursuing their class interests, would struggle to lower the rate of accumulation and, in effect, jeopardise the industrialisation of the country. Second, it had to take a democratic form. The Left Opposition was not prepared to accept either element. When the politics of the Left Opposition are more finely and rigorously analysed, strictly on the basis of incontrovertible facts presented by Cliff himself, then one is inexorably led to this conclusion: it could not and did not support working-class opposition to Stalinism. More discriminatingly to this point, its leaders could not consistently support those rank and filers, active on the shop floor, in the offices, and in the neighbourhoods, who might try to lead the 'actually existing' worker (and peasant) opposition against Stalin's dictatorship. Let us develop this argument fully. Cliff examines the response of Trotsky and his followers to collectivisation and industrialisation largely through Trotsky's eyes, Cliff's field of vision. Like Trotsky, Cliff sharply condemns the successive waves of Trotskyist 'capitulators' to the Stalin regime over a period of roughly five years, beginning with E. Preobrazhensky and 400 others, in July 1929, and concluding, with the surrender of Christian Rakovsky, the last authoritative Trotskyist leader in the Soviet Union, in March of 1934. The hour of their capitulation is the gauge of their 'moral courage', according to Trotsky-Cliff. The earlier the surrender, the less 'steadfast', the later, the more 'intransigent'. Trotsky, of course, never surrendered because 'his moral courage and intransigence had no bounds' . Nevertheless, Cliff's moralising criticism is misplaced and misleading because it bears little relation to the clearly stated political reasons given by the Trotsky's followers to break with Trotsky, go their own way, and rally to Stalin. The Left Oppositionists pledged allegiance to Stalin's policies not out of a lack of moral courage but precisely out of the courage of their political convictions, as Cliff on occasion relevantly remarks, albeit reluctantly, almost as an aside or an afterthought - for fear of making explicit the politically anti-democratic and economically pro-exploitative implications of those convictions. The specific date of their 'capitulation' marks the point in time at which certain leaders decided Stalin's policies of collectivisation and industrialisation had become irreversible. In retrospect, we may say the sooner these leaders rallied to Stalin, the more far-sightedness they displayed. Indeed, as early as May 1928, Preobrazhensky had presciently written to Trotsky that Stalin and the majority of the Party were 'finding a way back to Leninist politics' and showing their iron determination to build socialism by beginning to undertake a resolute struggle against the Bukharinist right wing of the Party and, through them, 'pro-capitalist' kulaks in the countryside. Stalin, Preobrazhensky insisted, was not manoeuvring merely for short-term political gains. No. He was fully committed to socialist construction. We believe the policy of industrialisation of the country, translated into the concrete figures of the 5-Year Plan, is the program for the construction of socialism and the consolidation of the class position of the proletariat ... we believe it to be our Bolshevik duty to take an active part in the struggle for the implementation of the Plan. Trotsky responded to Preobrazhensky and his followers' unreserved acceptance of Stalin's policies through Christian Rakovsky. From exile, Rakovsky wrote a lengthy critique of Preobrazhensky. So let us first have a detailed look at this critique, written by this most intransigent of Trotskyists, one of the last to come around to Stalin's side, six years later, in 1934, well after the conclusion of the initial pump-priming period of industrialisation and collectivisation, under the first Five-Year Plan. Rakovsky's Declaration of 22 August 1928 formally addressed the Central Committee, i.e., Stalin, but substantially addressed fellow members of the Left Opposition. Rakovsky enjoined Trotskyists "'to give the party and the Central Committee full and unconditional assistance in carrying out the plan for socialist construction by participating directly in the construction and by helping the party overcome the difficulties that are in the way"'. Among the difficulties standing in the way was a recalcitrant working class with its tendencies toward "'workshop, localist and inward-looking moods"'. Rakovsky supported Stalin's struggle to 'increase labour discipline' to combat these moods. The lack of political discipline was another difficulty that stood in Rakovsky's way. Factional activity inside or outside the Party surely could not be tolerated, as this would impede the smooth and orderly progress of socialist construction. Rakovsky was not explicit about what sort of political activity these factions might engage in. But is it unreasonable to suggest that at least one or more of these factions might give the aforementioned 'inward-looking moods of the working class' an explicitly anti-Stalinist, outward-looking, politically articulate voice? Cliff pretends not to notice this implication of the ban on factional politics. [i]This type of factional activity was certainly 'harmful' to the Party because, according to Rakovsky, it "'injures its authority in the eyes of the workers and weakens the foundation of the proletarian dictatorship"' embodied by the Communist Party of the Soviet Union. Rakovsky was logical and clear-sighted: the unity of the Communist Party had to be preserved because only through the Communist Party could the dictatorship of the proletariat be preserved, and so democracy was to be reserved to those who agreed with the party line, set by the Central Committee. The ban on (non-Stalinist) factions, rigorously enforced by Stalin, obeyed the higher imperative of socialist construction, Rakovsky insisted. Rakovsky's only disagreement with Preobrazhensky - the standard one among all Left Oppositionists who had yet to come over to the Stalinists at this time - was whether Stalin was truly dead-set on destroying the kulaks and proceeding with collectivisation and economic development. Rakovsky pulled out the yellow flag. He cautioned Stalin's policies were still uncertain, unstable; they might not weaken the power of the kulaks enough or implement industrialisation full-blast. Rakovsky also added some strictly pro forma, commonplace sociological remarks about how the complete organisation of socialism could only be realised in the far future and on an international scale. But these ABCs of Marxism, while sociologically correct, were politically toothless and did rot commit anyone anywhere to take a principled stand against Stalin in the here and now. Cliff says Rakovsky's position 'revealed the real dilemma facing the Left Opposition: it was against capitulation to Stalin, but it used arguments that were very consonant with his policies'. Pace Cliff, there was no 'dilemma' here. Rakovsky's comments were Stalin's arguments minus some politically secondary reservations designed to justify a wait-and-see attitude toward Stalin, not an oppositional one. There was no political opposition to Stalin here, as Cliff declaims time and again with respect to this and other documents of the Opposition. Cliff's declamations do not merely signal his refusal to come to terms with the actual political meaning of the Left's political platform, but his willingness to distort that meaning so as to preserve intact the collective historical memory of a determined 'opposition to Stalinism' conserved by present-day Trotskyists all over the world. Rakovsky's critique precisely captured the fact that the 'opposition' Trotsky had to come up against and overcome in carrying out Trotsky's line was not Stalin's but that of other Trotskyists. The Left Opposition in the USSR did not question whether Stalin's road was correct. It was the correct road. The issue was how far down the road of socialist construction Stalin was prepared to go. Rakovsky thought that if the Trotskyists prematurely abandoned their political independence from the Left, and joined Stalin, they would lose all political leverage to independently pressure the vacillating Stalin to the Left - to press on with socialist construction without turning back or even looking back. This was the bone of contention among Trotskyists. Rakovsky chewed this bone and no other. Indeed, Rakovsky decried Stalin's abject failure to recruit Trotskyists to the Great Cause. Rakovsky pleaded with Stalin to free all Left Oppositionists and to recall Trotsky from exile, for the Left Opposition had to be allowed to prove, in practice, through loyal service to the Party, its loyal commitment to building industry and developing agriculture and, so, the foundations of the proletarian dictatorship. Cliff is inconsistent in pointing to the lack of moral courage among Trotsky's supporters for rallying to Stalin when Trotsky had given them no secure political basis on which to maintain a political independence from Stalin. It is ludicrous for Cliff to condemn the Left Opposition for not sticking to Trotsky when its members were only following through the political 'imperatives' of Trotsky's views. The coincidence, Trotsky wrote, of the many extremely important practical measures the [Stalinist] leadership has taken in its present policy with the slogans and formulations of our platform in no way removes for it the dissimilarity in the theoretical principles from which the [Stalinist] leadership and the Opposition set off in examining the problems of the day. To put it in other words, the [Stalinist] leadership, even after having absorbed officially a good number of our tactical deductions, still maintains the strategic principles from which yesterday's right-centre [Bukharinist] tactic emerged. No doubt it was true, as Trotsky said, that Stalin basically viewed the construction of socialism, or at least its alleged foundations, as the affair of a single country, whereas, in taking an internationalist perspective, the Opposition stressed socialism could only be realised fully on an international scale. But these overridingly dissimilar theoretical principles were being overridden by short- and medium-term political practice. Trotsky tortuously admitted this. He agreed that, through industrialisation, Stalin was increasing the social weight of the working class, warding off the danger of capitalist restoration, and securing an expanded material basis for socialism. [b]If history [i.e., of industrialisation and collectivisation] shows that some of the Party leaders with whom yesterday we clashed words are better than their viewpoint they defended, nobody would find greater satisfaction in this than we shall. The bottom line, Cliff writes, was that the bulk of the Trotskyist leadership did find great satisfaction. They were 'full of praise for the collectivisation and industrialisation, although very critical of the methods Stalin used to carry it out'. The caveat about Stalin's dictatorial methods is puzzling. Is Cliff talking about democratic methods as a viable alternative? Of winning the support of workers and peasants to develop industry and collectivise agriculture, as the Left Opposition had originally envisaged? If so, then Cliff lays the basis for arguing - he himself does not argue it - that it was possible to develop the economy and build a democratic socialism subject only to the formal requirements of, and respect for, institutionalised political democracy at home, not socialist revolution abroad. The problem with this implication is that workers and peasants were already using democratic methods, albeit in an informal, non-institutionalised way. They resisted, they protested, they sabotaged, they struck, and they cursed the Stalinists. The Stalinists disciplined, imprisoned, exiled and shot them. Had workers and peasants gotten their democratic way, they would have reversed the policies of collectivisation and industrialisation because, for them, economic development meant intensified exploitation, as many revolutionaries, including quondam Trotskyists, had once correctly predicted if the construction of socialism in one country was insisted upon. But the Left Opposition was now determined to forge ahead, to industrialise and collectivise and to continue building socialism in one country. He who wills the end must will the means. So out with democracy and majority rule. Rakovsky had said so in so many words, so had Preobrazhensky and many other Left Oppositionists. And Trotsky had agreed with them throughout the first Five-Year Plan because, as he said, the Trotskyists were "'the only conscious expression of the unconscious process of social transformation"' embodied, in practice, by the Stalinists. The basic Trotskyist position, then, ratified by Trotsky himself, allowed no principled, firm political opposition to Stalin between 1927 and 1933. We must now examine how this basic position situated the Trotskyist majority leadership in relation to the workers (and peasants) who, by and large, did oppose Stalin. In the cities, Stalin's Five-Year Plan brought food shortages, an increase in the length of the working day and intensified work. Workers' living standards dropped catastrophically, by half according to some estimates. In the countryside, the incipient Stalinist state launched a ferocious assault on the peasant way of life, rich and poor alike, kulak and non-kulak. This social and economic landscape is thoroughly familiar because it has been fully explored. However, the political landscape, specifically, how the Left Opposition responded, at the time, to working-class opposition to Stalin's policies, is not the response most present-day analysts have traditionally reported, namely, that the Trotskyist leadership showed steadfast solidarity and unwavering support for workers' (and peasants') anti-Stalinist activity. In fact, the opposite was the case. I detail this controversial interpretation below, one based on the facts marshalled by Cliff. Having chronicled the growth of working-class resistance to Stalin's policies in the period leading up to forced industrialisation and forced collectivisation, Cliff then automatically equates this with an increase in Trotskyist influence in the same period. Cliff's empirical correlation is nonetheless analytically far more complex and contradictory than he allows. To bring this out, certain analytically crucial distinctions must be made between a Trotskyist political vanguard, taken as a whole, in relation to the working class, also taken as a whole, and the internal relationship, within this Trotskyist political vanguard, between its Trotskyist leadership and its Trotskyist rank and file. Let us now systematically examine the dynamic interrelationships between the Trotskyist leadership, the Trotskyist rank and file, and the working class. In response to Stalin's policies, many workers, most of them non-party, mobilised in self-defence by means of strikes, street demonstrations, riots and sabotage. Cliff cites numerous instances of the Left Opposition intervening in workers' struggles for better wages, improved working condition, shorter hours and respect for collective bargaining agreements. Cliff is not as precise as he should be about just what the Trotskyists had to say in these interventions. Cliff has a pronounced tendency simply to assimilate workers' opposition to Trotskyist politics. Still, it is fair to ask: in these interventions did the Trotskyists act as trade-union secretaries and call on workers to retreat to purely reformist, trade-union struggle? Or did they act as 'tribunes of the people' (Lenin) and urge workers to fight for these reforms by means of revolutionary, anti-Stalinist political activity? In the face of the campaign of the party leadership against the Left Opposition whom [the Stalinists] accused of wanting to form a parallel organisation, some even said: 'Let it organise - then we will see which party is really on the side of the working class for the existing party is starting to have a policy which is not ours'. In Krasnaia Presnia [a heavily industrialised workers' district in Moscow with a long and militant history of class struggle dating back to before the 1905 Revolution - J.M.] many remarked that the Left Opposition was right in its criticism. Cliff says nothing about the profound political significance of the threat to organise a separate party. It is easy to see why. Those who advocated the independent political organisation of the working class were either not part of the Left Opposition, whose leadership rejected the call for a second party, or, if part of it, could not have been supported by the leadership. The archive-based work of Alexei Gusev fully confirms the Trotskyist leadership's adamant opposition to all working-class political struggles against Stalinism that might result in or require the formation of a second party. Thus, in September 1928, Radek sent a circular to fellow Trotskyists complaining that a"'considerable segment of workers and youth in the Trotskyist rank and file simply could not bring themselves to understand why the leadership refused to work toward the foundation of a new, competing political party to represent and defend the interests of the working class. Indeed, some among them were now demanding outright organisational and political independence from the Communist Party thereby demonstrating, in Radek's view, the danger among Trotskyist rank and filers of a 'sharp leftist deviation' toward another oppositional grouping, the Democratic Centralists ('Decists'). Led by V. Smirnov and T. Sapronov, the Democratic Centralists had already concluded that the Communist Party was not reformable because it represented the interests of a new ruling class, and called on workers to engage in independent political action against it. These ideas found favour among quite a few lower-level Trotskyists. Indeed, one Trotskyist rued the outbreak of a "'Decist epidemic"' in their midst. The Trotskyist leadership denounced the Decists as ultra-left, sectarian and adventurist. It urged the Left Opposition to explicitly reject working class political strikes against the putatively workers' government: "'The duty of the opposition is to channel the demands of the working class into trade union and party legality"', Rakovsky and other Trotskyist leaders implored, and "'to oppose methods of struggle, such as strikes, that are harmful to industry and the state and to the workers themselves' ". Gusev concludes that the Trotskyists' 'conscious refusal to seek support in the growing workers' movement' significantly 'weakened the effectiveness of the "bolshevik-leninists" and disoriented potential adherents'. Despite sharp ideological differences with the Stalinists, the Trotskyist leadership allied itself in practice with the Stalinist leadership by jointly opposing the formation of a separate party to defend the interests of working people. This 'popular front' with Stalinism meant the working masses could not readily see how the leadership of the Trotskyist opposition was siding politically with the working class. As far as many workers were concerned, the difference between the Trotskyist and Stalinist leaderships was vanishingly small. Having to choose between defending workers and exploiting them, the Left Opposition in the end fell over itself to join Stalin's team. "'I can't stand inactivity. I want to build!"' one of them is reported to have said. "'In its own barbaric and sometimes stupid way, the Central Committee is building for the future. Our ideological differences are of small importance before the construction of new industries".' Their thoughts turning somersaults, the truth of the industrialisation drive upending the expectation that Trotskyists would be driving it, the overwhelming majoritv of Trotskyists signed on to build socialism 'for the future'. Cliff does not adequately register the enormity of this appalling, stomach-churning fact. He notes workers and peasants initially responded to the economic and political crises of the late 1920s by developing their combativity and consciousness, which had, in turn, provided a practical basis for a growth of influence of oppositional political ideas to Stalin. Cliff chronicles, through Reiman, this objective development without realising, however, that this made the Trotskyists responsible for providing leadership to the spontaneously rising combativity of working class. But the Trotskyist leadership was not at the rendezvous. It could not help the non-party masses develop their incipient struggle against Stalinist policies because it supported these policies! The Left Opposition opposed the emerging anti-Stalinist political orientation of the working-class rank and file because worker opposition foreshadowed the formation of a second party which would inevitably threaten the unity of the Communist Party, undermine socialist construction and jeopardise the dictatorship of the proletariat. Cliff refuses to look reality in the face: the masses did not stand aside and passively watch Stalin bury the Trotskyists politically. Even after 1929, workers continued to resist. Kevin Murphy has demonstrated, as has no historian before him, and Cliff's assertions to the contrary notwithstanding, that broad active working-class resistance to Stalinism existed at the point of production during the Five-Year Plan. Working-class passivity is a myth. The Trotskyists freely buried their opposition to Stalinism and metamorphosed into born again, 'conscious' builders of socialism. Why should the working class have actively supported the Trotskyists in this course? It is the Trotskyist opposition that failed to defend the masses. In this volume as with the preceding one, Cliff falsely counterposed the politics of the Trotskyist opposition to the 'objective' correlation of class forces that favoured Stalin's victory, instead of seeing the Trotskyists' politics, flowing from their analysis, as contributing to the formation of that objective correlation, and to Stalin's triumph. The Trotskyists may claim no credit for organising working-class resistance to Stalinism. This unsettling' conclusion is not in conformity with a reverential defence of the Trotskyist opposition mounted by Cliff and most Trotskyists, but it is in conformity with the facts. For the purposes of the argument I have developed here, it may be said the Left Opposition in the Soviet Union did not lend consistent political support to working-class (and peasant) resistance to Stalinism. The leadership handed a majority of its rank and filers over to Stalin on a silver platter. Cliff's discussion of the international Left Opposition between 1928 and 1933 is exceedingly weak because he never makes clear on what national bases Trotskyist factions inside the Communist Parties abroad proposed to organise. Could German Trotskyists be expected to address specifically German questions not meaningfully linked to Russian questions? Or was everything inextricably tied in one bundle? Let me cite an exemplary instance. The German Communist Party was the most powerful party to come out of the post-World-War I revolutionary upsurge. Opposition currents had developed within it over the direction of its political leadership, particularly after the failure of the October 1923 (putschist) attempt to make revolution. The German factions aligned themselves to one or another faction of the Russian Communist Party, though Cliff does not report what German factional attitudes toward issues affecting German politics at the time were. In any event, in 1928, the leadership of the German Communist Party expelled Heinrich Brandler, leader of the German 'supporters' of the Russian Bukharin (whatever this meant in the German context). Brandler and his followers then set up the Communist Party Opposition (KPO) with a membership of six thousand. Brandler's (ostensibly) incorrect positions on international affairs than to his organisation's indubitably correct call for a united front of the KPD and the SPD against the Nazis? 'Of course' replies Cliff, the abyss was there, and could not be bridged. Doubtless the abyss was there. But who put it there? Who refused to bridge it? Alongside the KPO stood the Leninbund and the Sozialistische Arbeiterpartei (SAP). The latter also advocated positions similar to those of the Trotskyists and the KPO because they advocated a united front of the KPD and the SPD against the Hitler [threat]. The similarity of standpoint may have made it more difficult to draw workers to German Trotskyists specifically, especially when the 6,000 strong KPO was ten times larger than the Trotskyists, and the SAP larger still, with 35,000 members at least. But what Cliff needed to explore was what repulsed the Trotskyists from these other political formations. We must conclude that agreement on the burning political issue facing the German workers' movement - establishing a united front before the Nazi menace - was not enough to push the Trotskyists to co-operate fruitfully with KPO, the Leninbund, or the SAP. Something else stood in the way. The Trotskyists' own sectarian politics? The accursed Russian Question? Trotsky's attempts to use his organisation in Germany as a lever to move the KPD in the right direction politically proved unsuccessful, as would his efforts to similarly influence Communist Parties elsewhere. After Hitler's epochal victory in 1933 Trotsky finally concluded that only a 'political revolution' overthrowing the Stalinist regime could set the working class on the road toward socialism in the Soviet Union and - by organising new Bolshevik parties to compete against the Communist Parties outside the Soviet Union - set the working class on the road to socialist revolution in those lands. To that end Trotsky, undeterred and indefatigable, forged ahead and founded the IV International in 1938, predicting that, within ten years, by 1948, it would become the 'decisive revolutionary force on our planet'. What falsified Trotsky's prognosis? According to Cliff, Trotsky's predictions of victory negated by the stability, wholly unforeseen by Trotsky, of the Stalinist regime. The Communist Parties grew during the War, 'basking in the reflected glory from the mighty Soviet Union and still claiming the mantle of the October Revolution'. But Stalin acted as 'gravedigger of the revolution during WWII and its aftermath'. At the Russian dictator's behest, the Communist Parties diverted the post-WWII revolutionary upsurge of masses, in France and Italy especially, into reformist channels, postponing socialist revolution for an entire and not yet concluded epoch. Cliff starkly contrasts Trotsky's inability to affect the disastrous course of events leading up to WWII, with Trotsky's brilliant analyses forecasting this very course and no other: the darker the night, the brighter the star. Unquestionably, Trotsky possessed a masterful grasp of the social and political forces wracking the capitalist world in the 1930s. His writings on the rise of Nazism in Germany and how to combat it stand out, as do his penetrating criticisms of the popular-front strategy in France and Spain. Unreservedly may these writings be recommended for the political education of socialists today because, in them, Trotsky unfailingly brought to bear on the burning issues of the modern labour movement: the alpha and omega of revolutionary, Marxist politics: the world-historical emancipation of the working class can be realised only through the revolutionary self-activity of the working class internationally. To make this point accessible to all militants, Trotsky wrote his magisterial History of the Russian Revolution chronicling the exemplary experience of the Russian Revolution and the class-struggle politics of Bolshevism that made 25 October 1917 a pivotal date in the twentieth century. The supreme paradox Cliff fails to note is that Trotsky chose not to bring Bolshevik politics to bear, in good time, against Stalinism because Trotsky failed to see, in good time, how the Communist Party of Russia had come to represent a class uremittingly hostile to the working class and the democratic-socialist project. In lieu of class struggle against Stalinism, Trotsky advocated, all too successfully and for much too long, class reconciliation with Stalinism. He argued for a reformist, 'social-democratic' course, not a revolutionary, Bolshevik one. Trotsky gained little and lost much by appealing to this Communist Party, whose thoroughly servile, career-seeking and time-serving rank and file had fully absorbed the fateful ethos of its Stalinist leadership. Trotsky committed a political error of the first magnitude in throwing himself and his followers at the mercy of this rank and file's all-too-real Stalinist prejudices, not their illusory revolutionary, Marxist judgement. When Trotsky at last changed his mind, in 1933, and called for a political revolution against the Stalinist bureaucracy, it was too late: Stalinism had fully consolidated itself, at home and abroad. Trotsky's erroneous world-historical political perspectives for the post-1938 period reflected his epochal miscalculation of the durability of the Stalinist regime internationally, as Cliff emphasises. Yet Cliff does not bring out enough the point that the destinies of Trotskyist political tendencies internationally between 1933 and 1938, that is, in the period immediately preceding the formation of the IV International, were largely predetermined in Russia. Most directly to this point, Trotsky reaped the bitter fruits of defeat in Europe and America in the 1930s because he had sown the seeds of working-class defeat in Russia in the 1920s. Owing to his fundamentally incorrect analysis of the Stalinist bureaucracy, Trotsky ended up handing over more or less free of charge the accumulated political capital of the Russian Revolution to Stalin, who then used it to reap fabulous political rewards internationally by building 'socialism' in one country on the ruins of wrecked socialist revolutions abroad. Trotsky paid for this defeat with his life. So would millions more. The zigzags in the fight against Stalin could not but weaken Trotsky's own supporters. Cadres cannot be kept if they have to abstain from action.... Rank and file oppositions cannot survive politically without a fight in the here and now. Yet, as Cliff acknowledges, Trotsky's mistaken course of action itself surely tended to lower the political consciousness of workers and mislead them as to the dangers that were in store for them. But this recognition is very often undermined, if not vitiated outright, by Cliff's simultaneous belief that the defeat of the Trotskyist opposition was inscribed in objective conditions, not in its politics. If so, then Trotsky's politics, along with the analysis that justified them, was irrelevant to the outcome. On Cliff's account, Trotsky's real dilemma was the 'problem of how to keep the cadres together without involving them in a struggle going beyond the party ranks, which meant appealing to the workers en masse'. However much a dilemma this posed in theory to Trotsky, in practice Trotsky resolved it in a very definite way. Right down to 1933, Trotsky chose to turn his back on struggling workers and to turn his face to the bureaucracy. In doing so, Trotsky exercised his judgement. But Cliff wants to go deeper, back to the aforementioned objective conditions, the balance of class forces, which, in Cliff's view, determined Trotsky's judgment. Here, Cliff falls into a determinist reductionism that excuses Trotsky's errors and, in the end, exonerates Trotsky politically. For, if no course other than Trotsky's was possible, then the rise of Stalinism was foreordained. But this contradicts Cliff's other view that it was not inevitable, that Trotsky's politics did matter. Had Trotsky seen that the bureaucracy was an independent social force that had, by the mid-twenties, pretty much secured control of the party-state, he would have seen that it was fruitless to attempt to induce this party-state to adopt revolutionary policies at home and abroad and that there was no choice but to appeal to another social force, the working class, to do battle against it. Had Trotsky understood that behind the politics of the bureaucracy lay the defence of bureaucratic interests, he would have led a faction fight prepared, if necessary, to split and to form a new party to defend the interests of the working class. A 'false policy of the masses' is explained by the 'immaturity of the masses'. But what is 'immaturity' of the masses? Obviously their predisposition to false policies. Of just what this policy consisted in and who were its initiators: the masses or their leaders - that is passed over in silence by our author. By means of this tautology he unloads the responsibility on the masses.... The workers' line of march at all times cut a certain to the line of the leadership. And at the most critical moments this angle became 180 degrees . Unfortunately, Trotsky seems not to have applied this line of reasoning to his own political leadership vis-a-vis the rising Stalinist bureaucracy. Cliff also tends to 'pass over in silence' the : 'It was the objective conditions that determined how successful the opposition could be'. Wrongly thinking that Trotsky's 'conciliationism' was merely tactical, merely reflective of the (putatively) low level of activity of the working class, Cliff does not fully appreciate just how much, in fact, it expressed a principled strategy of political action that corresponded to Trotsky's strategic (mis)understanding of the (non-class) nature of bureaucracy, and not to some imagined uniform, and uniformly low, level of poitical maturity of the 'masses'. Again, had Trotsky recognised sufficiently early, by 1923 or 1924 say, that the material interests of the bureaucracy were at odds with those of the producers, whether peasant or worker, he would have predicted the reactionary domestic and foreign policy of the period, and fought against it by supporting, and fully developing, the class-struggle politics implicit in the extant struggles against the emergent bureaucratic state led by revolutionary elements remaining in the Russian working class and in the Communist Party. Moreover, thanks to his international stature, Trotsky would have been strategically placed to complement and co-ordinate the struggles of workers in the West and the East with those in Russia and so mutually reinforce all three. Could this strategy, based on the international interests of the working class, have reversed the course of events in Russia and abroad? No doubt the objective conditions were unfavourable. But however unfavourable they may have been, there was no alternative but to appeal to the class interests of workers. To oppose such a strategy was incorrect, for any other course of action was doomed to failure. Unfortunately, for far too long, Trotsky believed that, by his holding a mirror to the bureaucracy, it would recoil in horror at its own image, reform its political ways, and change course, toward internationalism, revolution and democracy. Trotsky tried to convince the leaders of Russian Communist Party and of the Comintern that they were vehicles of revolution, not counter-revolutionary roadblocks. He wrote sociological dissertations and researched history to teach 'lessons' to Stalin, Zinoviev, and Bukharin. But all this blackboard socialism was meaningless to those whose social position and material interests blinded them to the profound lessons Trotsky sought to teach. By so squandering the accumulated political capital of the Russian Revolution Trotsky reduced his opposition to a politically impotent sociologism. By arguing with the real enemies of the working class, Trotsky alienated his real friends amongst the workers. It would be academic to debate the extent to which Trotsky prepared his final defeat. The point is that he prepared it. 1] Cliff 1993, p. 102. 2] Cliff 1989, p. 17. 3] Deutscher 1954, 1959, 1963. 7] Shachtman 1962, p. 187. 8] Cliff 1991, p. 16. 9] Cliff 1991, p. 17. 11] Cliff 1991, p. 33. 12] Cliff 1991, p. 35. 13] Cliff 1991, p. 38. 14] Cliff 1989, p. 15. 15] Cliff 1991, pp. 25-6. 16] Cliff 1991, p. 26. 17] Cliff 1991, p. 141. 19] Cliff 1991, p. 140. 20] Cliff 1991, p. 139. 21] Cliff 1991, p. 136. 23] Cliff 1991, p. 259-60. 24] Cliff 1991, pp. 261-2. 25] Cliff 1993, p. 102. 26] Cliff 1993, p. 101. 28] Cliff 1993, p. 89. 29] Cliff 1993, p. 93. 30] Cliff 1993, p. 92. 31] Cliff 1993, p. 93. 32] Cliff 1993, p. 91. 33] Cliff 1993, pp. 94-5. 35] Cliff 1993, p. 53. 36] Cliff 1993, p. 79. 38] Cliff 1993, p. 94 (emphasis added). 39] Cliff 1993, p. 70. 40] See Gusev 1996, pp. 85-103. 41] Gusev 1996, p. 97. 42] Gusev 1996, p. 98. 43] Gusev 1996, p. 99. 47] Cliff 1993, p. 98. 49] Cliff 1993, p. 140. 50] Cliff 1993, p. 141. 51] Cliff 1993, p. 293. 52] Cliff 1993, p. 298. 53] Cliff 1991, p. 19. 55] Cliff 1991, p. 19. 56] Cliff 1993, p. 13. Emphasis added. 57] Cliff et al. n.d., p. 69. 58] Cliff 1991, p. 277. Broue, Pierre 1988, Trotsky, Paris: Fayard. Cliff, Tony, et al., n.d., 'The Class, The Party, and the Leadership', in Party and Class, London: Bookmarks. Cliff, Tony 1989, Trotsky: Towards October, 1879-1917, London: Bookmarks. Cliff, Tony 1991, Trotsky: Fighting the Rising Stalinist Bureaucracy, 1923-1927, London: Bookmarks. Cliff, Tony 1993, Trotsky: The Darker the Night the Brighter the Star, 1927-1940, London: Bookmarks. Deutscher, Isaac 1954, The Prophet Armed: Trotsky 1879-1921, Oxford: Oxford University Press. Deutscher, Isaac 1959, The Prophet Unarmed: Trotsky, 1921-1929, Oxford: Oxford University Press. Deutscher, Isaac 1963, The Prophet Outcast: Trotsky 1929-1940, Oxford: Oxford University Press. Gusev, Alexei V. 1996, 'Levokommunisticheskaiia opposzits3 oppozitsia v SSSR v kontse 20-kh godov', Otechestvenaia Istoriia, January-February: 85-103. Mandel, Ernest 1995, Trotsky as Alternative, London: Verso. Murphy, Kevin 2005, Revolution arid Counterrevolution: Class Struggle in a Moscow Metal Factory, Oxford: Berghahn Books. Shachtman, Max 1961, The Bureaucratic Revolution, New York: The Donald Press. Source; Historical Materialism, vol. 14.3, London, 2006.
very interesting reappraisal of Trotsky. I'll have to look into the Democratic Centralism group a bit more. Trotsky's work has mostly had the effect of keeping the core of Lenin's authoritarian ideas alive longer than the time they should have died once and for all (as early as 1918 and no later than 1956) - Trotskyism, like Maoism, has mostly been just another flavor of Leninist ice cream - colored red, it still kills you, your reputation, and all your friends and family in the end. It's poisonous stuff. Any political party calling itself "left" that uses "democratic centralism" is less an instrument of liberation and more an institution of rote memorization, obedience, learned morality, and cadre-based regimentation. Trotskyism and Maoism can be best viewed as methods intellectuals use to keep control over workers and the poor once the capitalist structures lose their legitimacy (along with fascism.) They are sort of the "last line of defense", along with a number of ridiculous, elitist ideologies based on the personal prejudices and obsessions of this or that intellectual. While anarchism/libertarian communism has intellectuals, none of them expected people to stop believing in liberty or direct/grass-roots democracy. Among the Trotskyist and Maoist parties have been all manor of arguments about the limits of human freedom or the dangers of people who go against the ideas of an all-powerful party. I hope we can each find, on our own terms, the rejection of Trotsky while still believing in ourselves and that we can honestly see the limits of capitalism without purely needing marxIST intellectuals telling us what we already know.